We had a surprise birthday party for a friend there Friday night. The husband of the birthday girl accidently booked the reservation the next night (Saturday). So, all of the guests show up Friday night to be turned away. 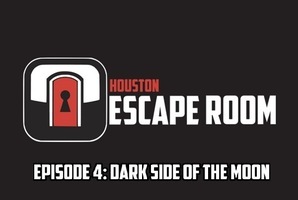 After explaining to the manager all of the guests were not going to be able to make it the next night, the manager at Houston Escape Room went above and beyond by opening up a session after they had closed for us at no additional cost. The experience is awesome and challenging. 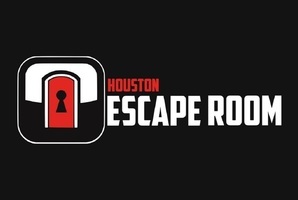 We will definitely come back to try out the other rooms. Today your team of special agents has to help one of your own. Agent Mo has been captured, and the location of the bureau’s valuable relics is now unknown. 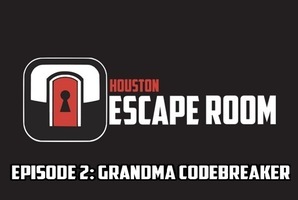 You have an hour to search her safe house and escape before it's too late! Reviews of escape game "Episode 1: Mo's Safehouse"
I want to go back and do the other rooms! We escaped Mo's, and with only 5 people, to boot. Quite impressive, so they tell us. The room worker guy (whatever they call him) stays in there with you to answer your questions if you both find and use your hint cards. The clues and puzzles are doable with teamwork and patience. If you enjoy a challenge this is definitely the activity for you. They take your group picture after and it's a good idea for corporate outings and team building activities. Our room worker guy (yeah, I'm not good with the names) was fun too. He was happy to be there and excited for us when we got out. There are two different rooms to chose from and each room can be filled with up to 10 people working to solve the puzzle within an hour time limit. My group of 7 was unable to solve the puzzle, but we still enjoyed ourselves. Its a very well organized, clean establishment and it is obvious they have invested a lot of thought and time to the room we experienced. After reading reviews, I was hard-pressed to believe that each team member would be able to contribute to the puzzle, but the puzzle is so elaborate that every person will have the opportunity to discover multiple pieces of information. Fact of the matter is that the puzzles may be too elaborate. After or experience, we were debriefed and told that the success rate is a mere 9%. I honestly don't believe that my group would have been able to solve the puzzle with extended time. With that said, we still had fun and I would consider trying the second room. It is right by Minute Maid park so metered parking is available, but during games it can be difficult to find a spot.